6: Return any of your permanents in play to your hand; enchantments on that permanent are discarded. Can be used only on permanents you cast. 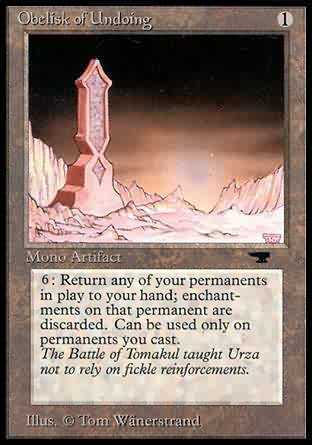 The Battle of Tomakul taught Urza not to rely on fickle reinforcements.